XII, 316 p., 1 ill., 18,4 x 25,5 cm. Edited by Christopher Arnold, Christian Danz and Michael Hackl. In 1808, Schelling wrote two reviews of Niethammer’s treatise on ›Der Streit des Philanthropinismus und Humanismus in der Theorie des Erziehungs-Unterrichts unsrer Zeit‹ (The Dispute between Philanthropinism and Humanism in the Educational Theory of our Time) within four months. Both reviews document Schelling’s keen interest in the complex debate on the fundamental principles of education. 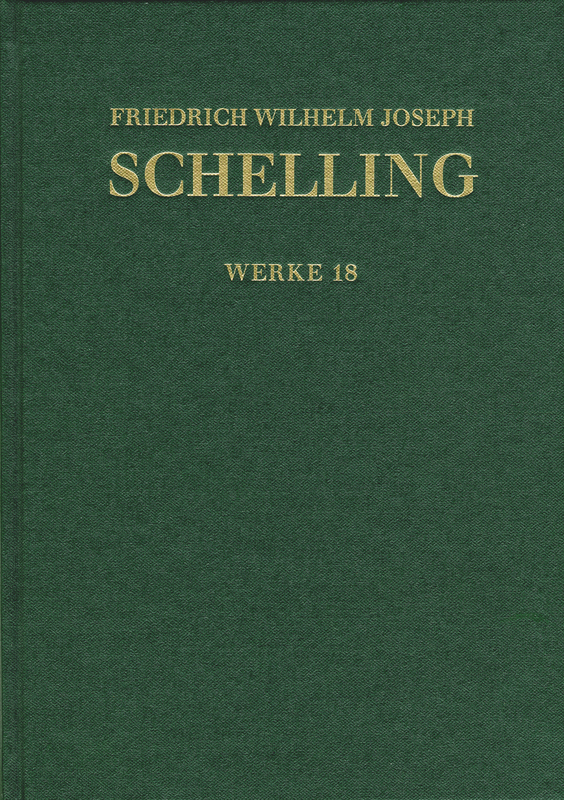 The other work in this volume, the ›Denkmal von den göttlichen Dingen‹ (Memorial to Writing on the Divine Things), was published in 1812 as an explicit polemic pamphlet against Jacobi, and it is Schelling’s pivotal contribution to the so-called »theism debate«. This significant philosophical-theological dispute was preceded by a long history of disagreements; fundamental differences in the thinking of the two adversaries had already been documented from Schelling’s Jena period.